The statistic depicts the population density in Mexico from 2007 to 2017. 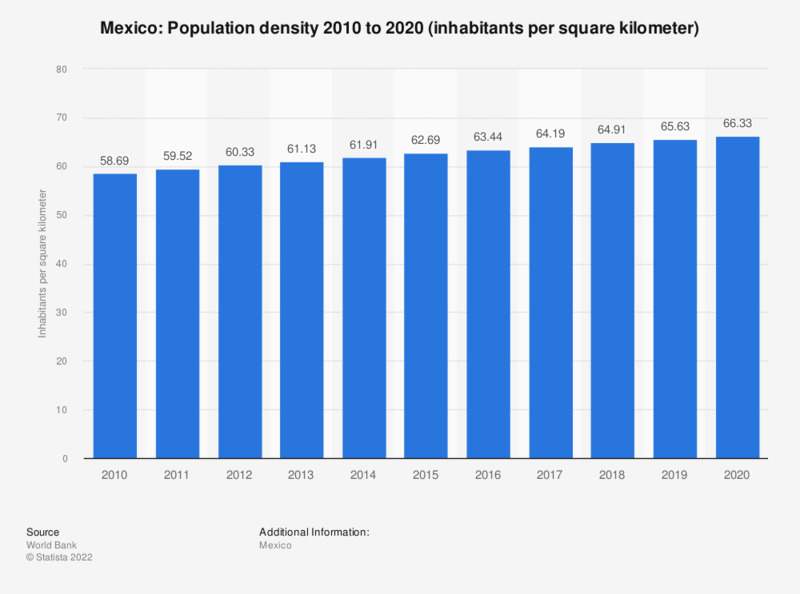 In 2017, Mexico's population density was around 66.44 people per square kilometer. Among the largest cities in Mexico, Mexico City is leading with more than 8.5 million inhabitants.